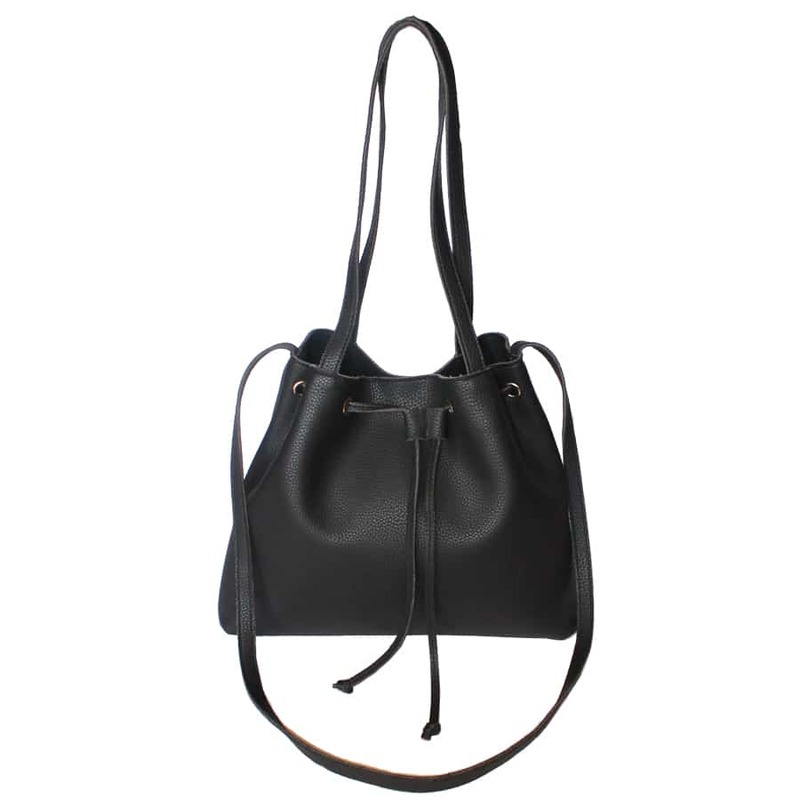 Leather look and feel hobo style bag with a spacious interior and an inner pocket. Magnetic push stud and drawstring closure. Comes with short straps to wear over the shoulder and a long shoudler strap to wear as a cross body.